The Kidz exhibitions, organised by Disabled Living, provide a unique opportunity to see the latest products and services for disabled children and young adults. The showcase includes a series of CPD accredited seminars for professionals and families which cover a range of issues relevant to independent and assisted living. By attending these sessions, healthcare professionals can gain valuable hours to their CPD portfolio and discover the latest educational material that assists their clients. At Kidz South, Shaun Masters, OT, will be presenting the care cot seminar in Seminar Room 2 at 10:30am. The seminar will explore the difficulties faced with prescribing paediatric sleeping solutions. It will explore the wider implications on health and day-to-day function whilst examining our nature to care for others. Topics will also highlight future-proofing for a child’s needs as they progress, become older, heavier and stronger and how this has an impact on the parents/carers abilities. Parents still want to hold, lift and nurture their child, but is this sustainable when looking at safe moving and handling? Shaun Masters is a registered OT with over 15 years of public sector experience. He specialises in community-based re-enablement and has particular expertise in moving and handling – both in adult and paediatric sectors. 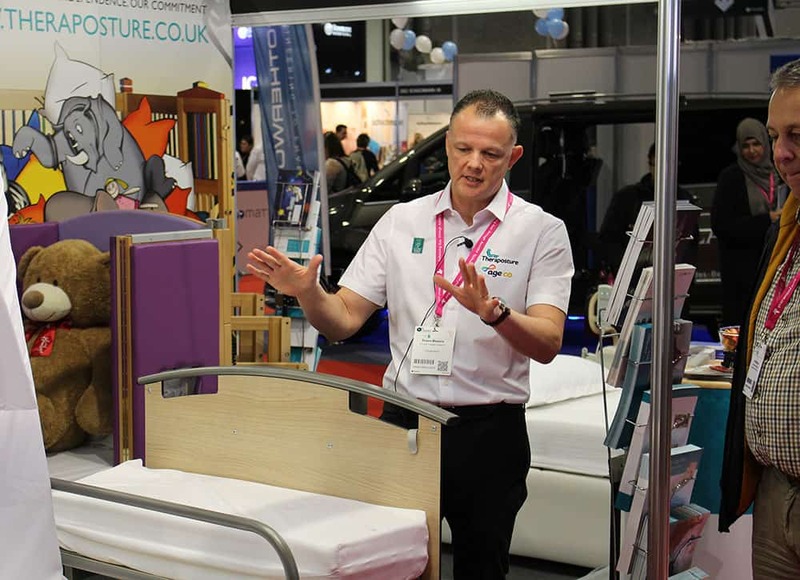 Shaun will be available throughout the exhibition on the Theraposture stand, F1, for further questions and to discuss client cot needs on a one-to-one basis. On stand F1, Theraposture will be giving out free, professional Theraposture tape measure to all visiting therapists. Incorporated in 1981, Theraposture is an expert in adjustable beds, chairs and cots. The company is a pro-active member of the British Healthcare Trades Association (BHTA) and fully complies with its Trading Standards approved Code of Practice.